Massapequa, New York, USA. August 5, 2018. 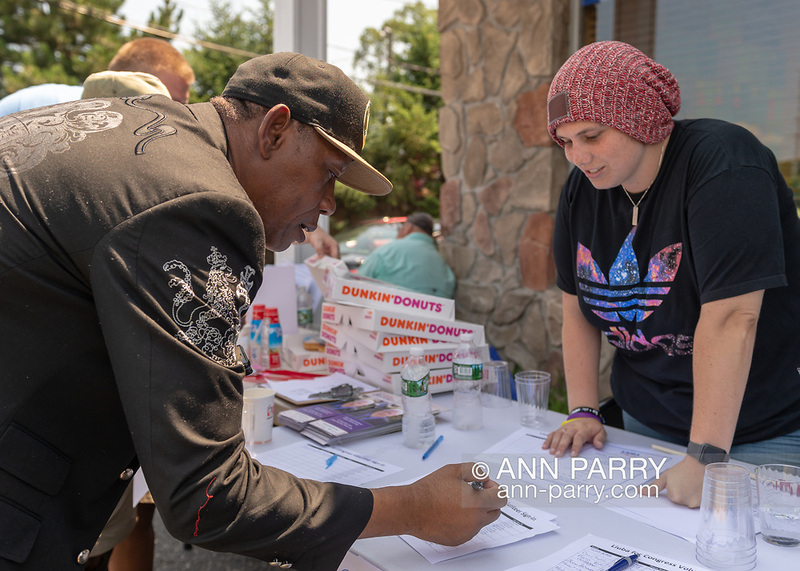 Supporter writes his contact info on Volunteer Sign-In sheet, while campaign volunteer looks on, during opening of joint campaign office for Liuba Grechen Shirley, Congressional candidate for NY 2nd District, and NY Senator John Brooks, who are aiming for a Democratic Blue Wave in November midterm elections.